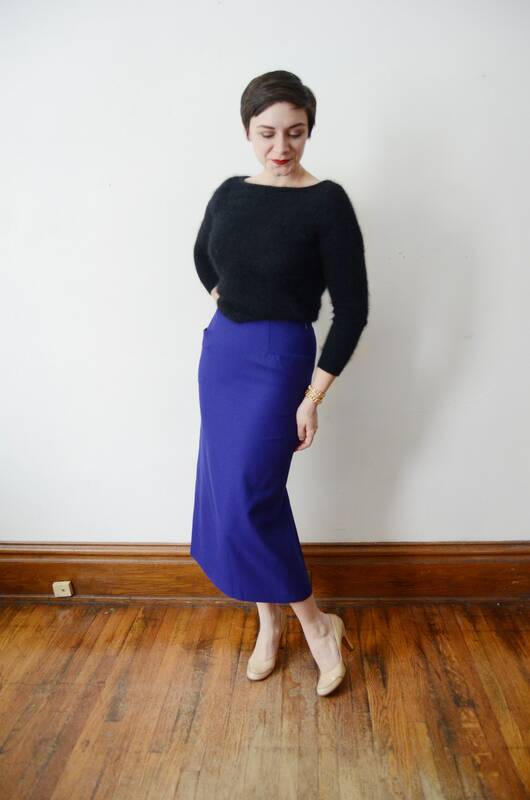 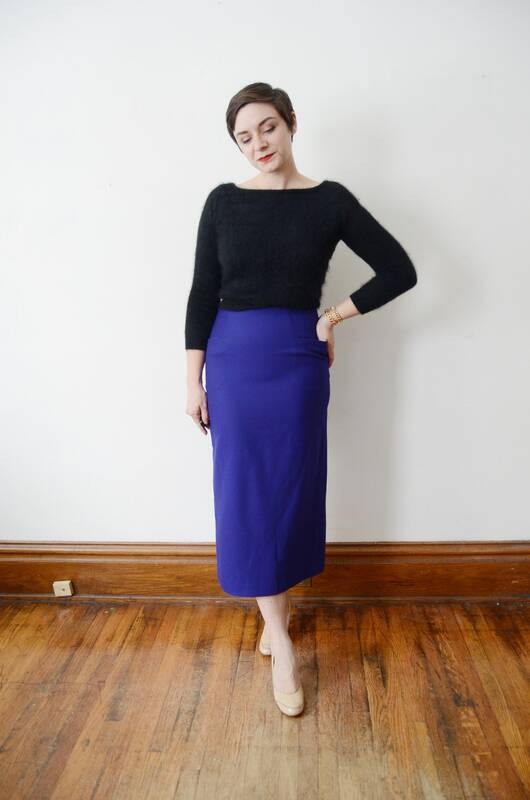 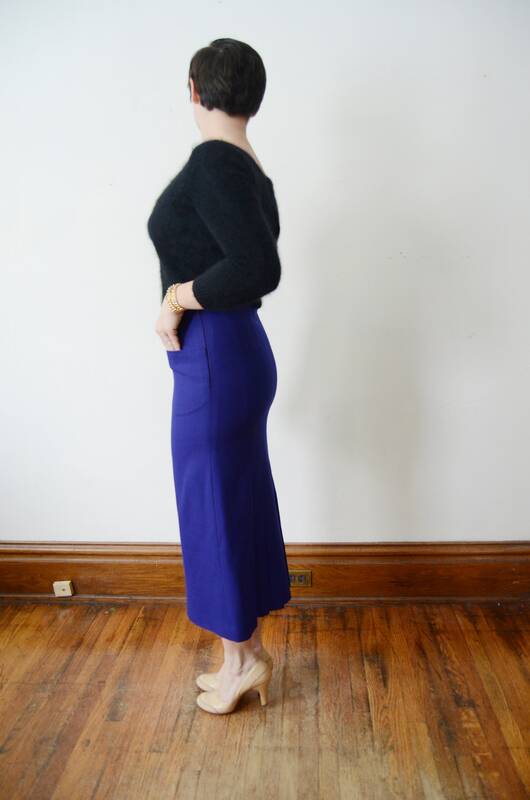 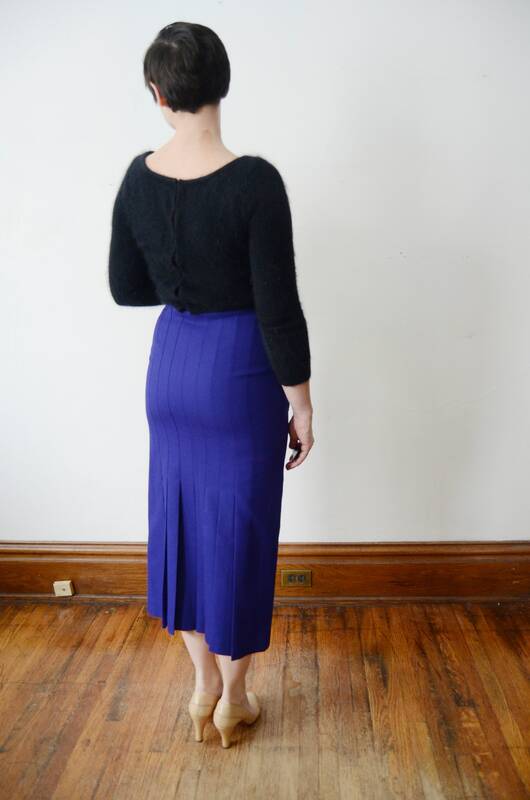 Description: A lined purple wool skirt with pleats in the back. 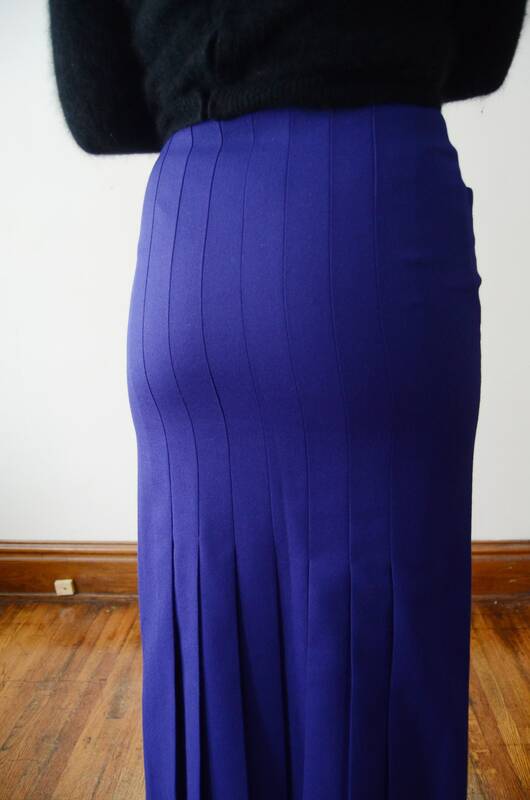 Side nylon zipper and button closure. 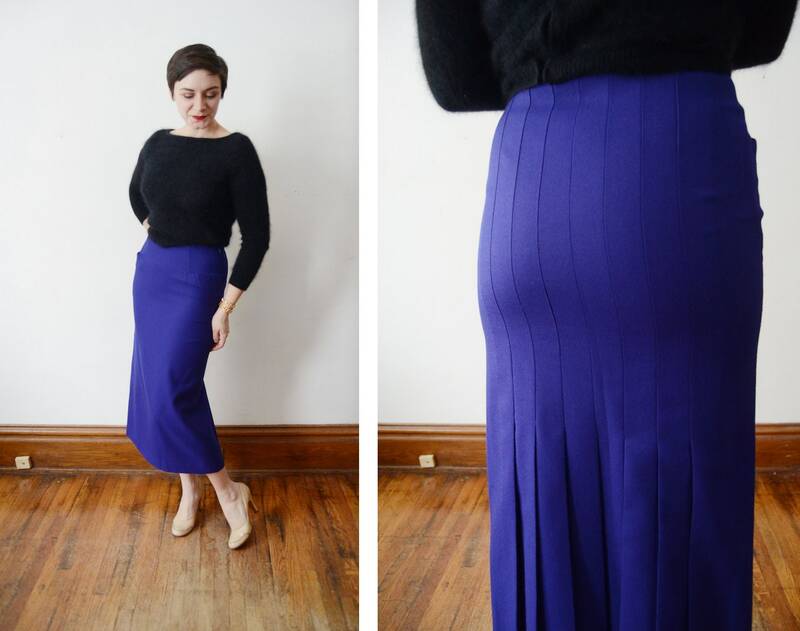 A very well made garment!